This collection consists of records relating to John Shelby Bryan and his service as member of the President’s Foreign Intelligence Advisory Board. 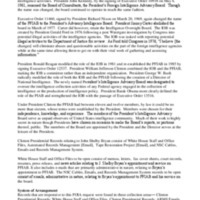 This collection consist of memos, letters, fax cover sheets, court records, resumes, press releases, and news articles relating to Bryan’s appointment and service on PFIAB. 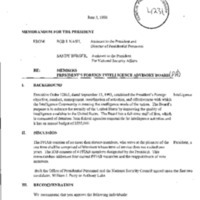 It also includes e-mails that are primarily administrative in nature, relating to Bryan’s appointment to PFIAB.